Author: McCutchen, Brenda Pugh. Publisher: Human Kinetics (2006). Teaching Dance as Art in Education provides in-service and pre-service teachers guidance to develop a fully comprehensive plan for K-12 dance education. 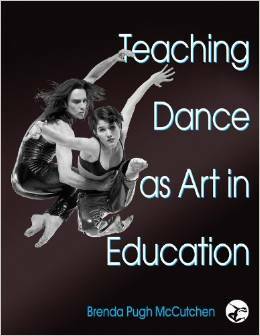 It serves as a foundation text for teacher preparation in dance education worldwide. 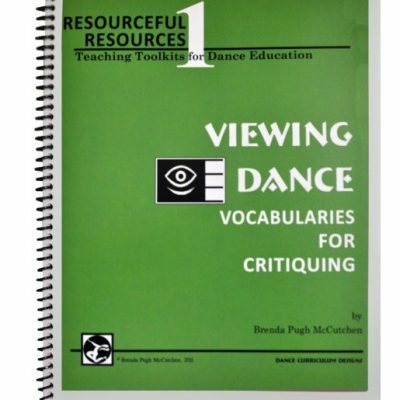 A MUST for dance education majors, student teachers, and K-12 dance specialists. Helpful for administrators, fine-arts coordinators, and gifted educators. The text describes how dance and education come together in a new discipline “dance education.” The text synchronizes perfectly with the national core arts standards. Written from the broad perspective of dance as a holistic discipline, its content transcends standards because it applies universally no matter which set of standards are used as measure. 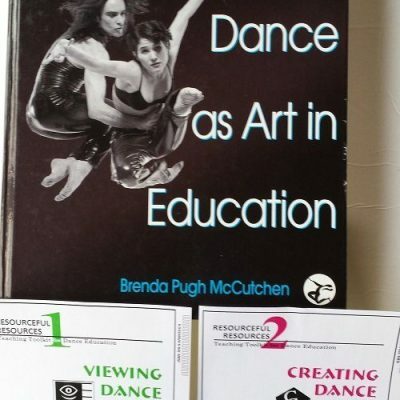 The comprehensive text, Teaching Dance as Art in Education, enables teachers to integrate core content, instruction, and assessment to achieve standards while remaining child-centered in instruction. It emphasizes what is most important to know and do in each artistic process (creating, performing, responding, and relating/connecting). Chapter 4 is devoted to child development in dance, showing exactly how to advance the physical, mental, artistic, and psychosocial aspects of the learner at different ages and stages of development. Curriculum Frameworks in all four artistic processes present standards-aligned content that sequences from kindergarten to graduation to assist teachers with instructional plans. This text lays out a holistic 6DC approach to dance inquiry to guide dance educators throughout their careers. It describes how to integrate all four artistic processes to increase dance literacy and to develop fluency in the art of dance in a highly readable way. Teaching Dance as Art in Education offers a standards-aligned curriculum which utilizes the UBD “backward design” process. This textbook is acclaimed as the comprehensive textbook for dance educators whether in-service K-12 dance specialists, pre-service teachers, higher education, student teachers, teaching artists, graduate students, or professionals. 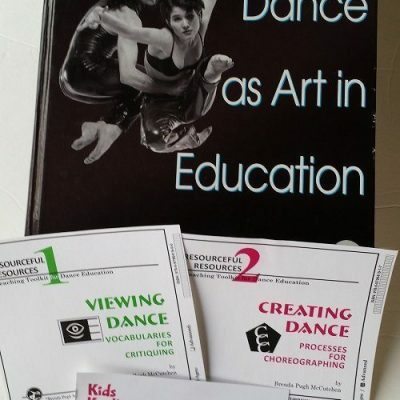 Note: Teaching Dance as Art in Education also has a series of 6DC teacher packets (toolkits) that go with it. 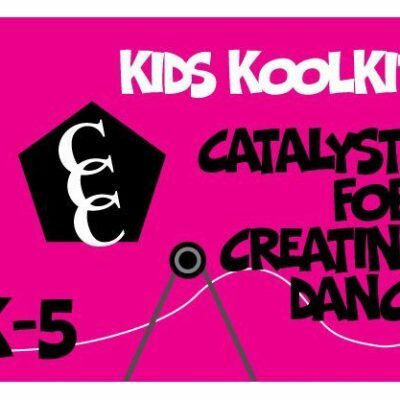 The toolkits enable teachers to excel in teaching/facilitating each artistic process. Each artistic process is the subject of one complete, integrated toolkit. Each kit emphasizes the big ideas that drive the artistic process. The series of kits is in sequence so each one builds on the concepts learned in the previous kits. 1. Viewing Dance (responding), 2. Creating Dance (creating process, 3. Composing Dance (creating structures). These are cutting edge teaching materials that advance artistically-driven, holistic educational dance. Toolkits offered in different levels to span K-5, MS, HS, and higher education (on this site). ⇒USA English version: hardback, 543 pages, 8.5″x 12″, USD $74. ⇒Canada English version: hardback, 543 pages, 8.5″ x 12″, USD $101.95. ⇒Orders link directly to Human Kinetics to fulfill. This text incurs shipping charges from the publisher. ⇒Chinese version: sturdy double-paperback, 533 pages, 8.5″x 12″. $74 (We are pleased to announce the 2015 publication of this text in Simplified Chinese Language, Shanghai Music Publishing House.) ⇒Chinese Version in limited supply. Ordered from Dance Curriculum Designs on this site.